While I do love Ariel, I have to say my favorite character is probably Sebastian. I love that little crab. He cares about Ariel so much and tries so hard to keep her out of trouble. And when she finds herself in a pickle despite his efforts, then he jumps in with both claws to help her in any way he can – even if he’s at risk of the wrath of King Triton. Below is a character we never got the chance to meet. Harold the Merman was a bit of a bumbling character, but very likable. While he didn’t make the movie, he has always been in the hearts of co-writer and co-directors Ron Clements and John Musker. 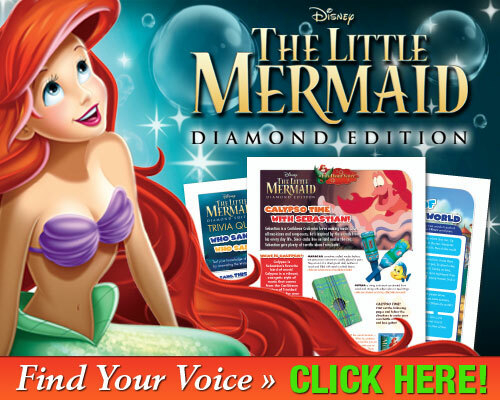 Here are some free printable The Little Mermaid activities that you can download for your kiddos. Make your own musical instruments and sing along with Sebastian, Flounder, Ariel and the rest of her ocean and land-loving friends. 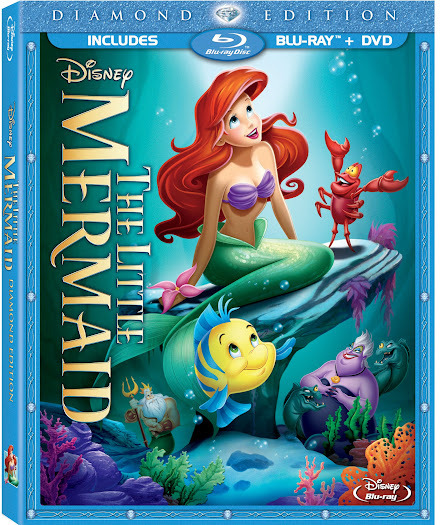 I’m also excited that I have a copy of The Little Mermaid Diamond Edition Blu-ray Combo Pack to give away to one of you! I love when I can share my favorite things (like a dinglehopper!). Giveaway closed – congrats Jasen H! Ariel was my favorite because we are both redheads! I LIKE ARIEL THE MOST. I like Sebastian and Ariel. Sebastian is my favorite– so funny and dramatic! my favorite character from the Little Mermaid is Sebastian. I love when he sings Under the Sea. Ariel is my families favorite I like Sebastian cause I am a little crabby at times. My favorite character is Sebastian. Ariel’s my favorite character! She may be what inspired my love for singing! My favorite character is probably Scuttle! He’s a funny seagull! Sebastian is my favorite character. The girls like Arial, I like Sebastion. Sebastian is my favorite, but it is hard to pick him. They are all so great! Ariel – I always like redheads. Two of my daughters are redheads so Ariel is a favorite in this family.